a Class*y Collaboration: It's Summer! How about a GiVeAwAY?! 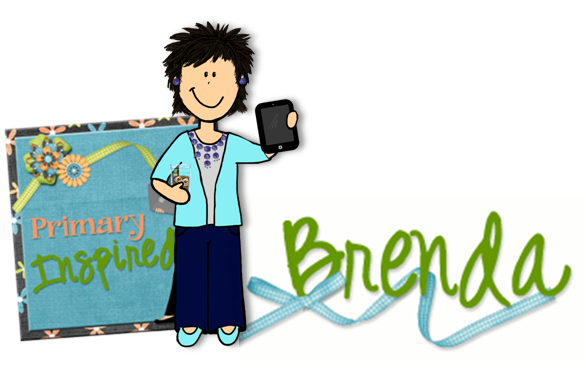 Oh my gosh...what a whirwind end of the year! End of the year is exhausting, isn't it?! We ended school on a Friday, & Summer School started the next Monday. Phew! Can you say TIRED?! I did a 2 week summer school stint then a week of work at the SDE Conference (which was also tons of fun! )...I feel like SUMMER HAS JUST BEGUN!! want to take a look around her store. 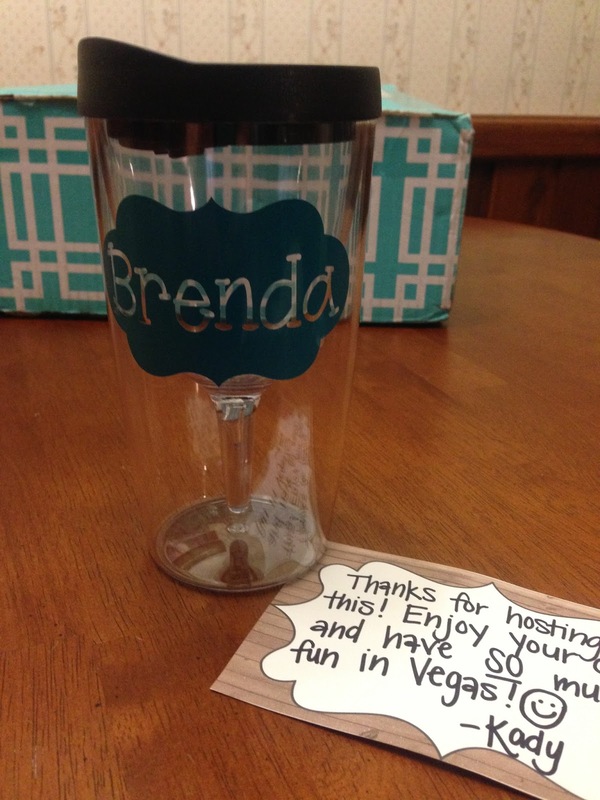 She graciously offered this adorable (& clever) "I teach therefore I wine" sippy for one of YOU! I ran across a gal who makes the neatest skirts! She actually makes these uber-adorable skirts from up-cycled Ts! So fun & comfy to wear in the summer. I get loads of compliments on mine! You know what's really cool? 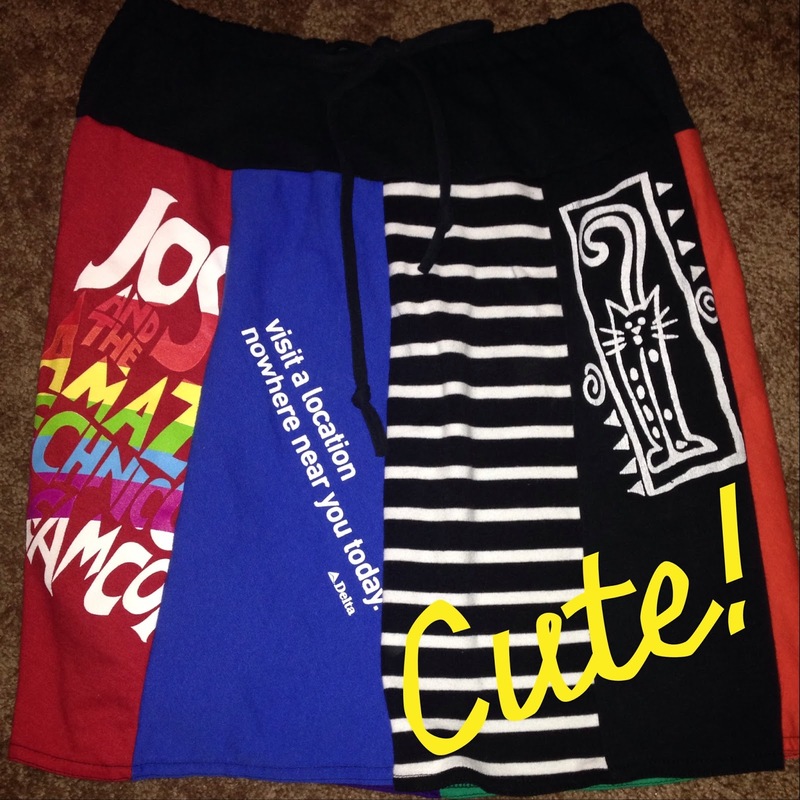 You can gather some of your T-shirts, send them to her, & she'll make a custom skirt from them for you! How cool would it be to have a skirt made from all of your concert shirts...or your running shirts...or your kiddos' sports team shirts? I know...right? The one pictured to the right is mine....the one in the pic below is the one the winner will get. Super cute...right?! I'm so excited to be able to giveaway one of these neat skirts on the blog. 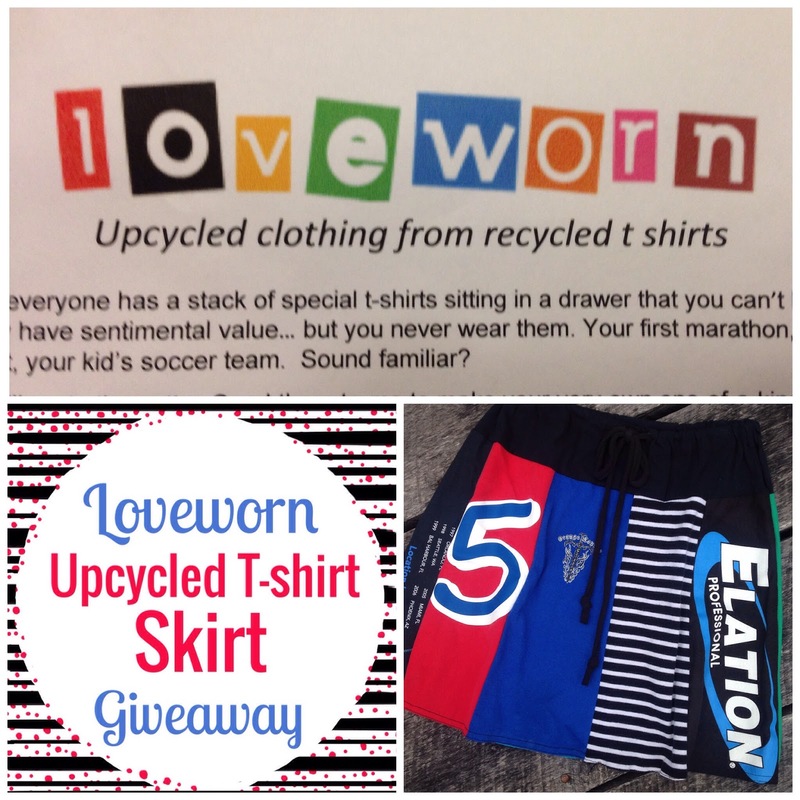 Rafflecopter will be choosing TWO winners next Monday - one for the wine sippy and one for the upcycled skirt! Just click the entry options in the rafflecopter below & cross your fingers!! The cups are so cute. I'm torn between "I teach therefore I wine" and "Mommy juice" (although my kids are both almost grown up now). I like the cup with my initial on it! Just a big old H!! do they make a little long skirts? this is amazing! Yes, they do, Jill! Take a look through the pics on loveworn's FB page! What a fun giveaway! I have never seen skirts like that! How cute!! I like the monogram cups! I love -- I teach therefore I Wine! Too Cute! I love that sippy cup! My husband is a wine L.O.V.E.R. and I showed him that cup, and even he thought it was super cute! My favorite is the Personalized Name Wine Sippy Cup! I would love one! We drink in our YOGA pants--- love it!!! Love the one with my name on it! My last day of work was yesterday so I'm in serious need of a wine sippy cup!! I like the one with the initial on it. 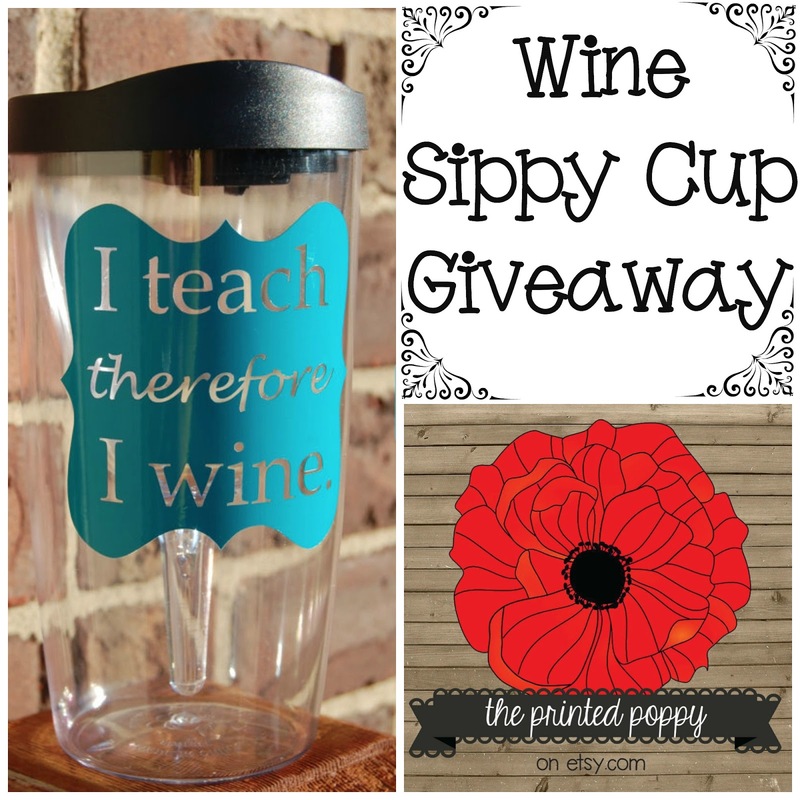 I Teach... Wine Sippy Cup or the initial one! My favourite is the "Yoga Pants" sippy cup!!! Too cute <3. Thank you for your generosity and for considering me =). leafsgirl@rogers.com. I LOVE the yoga pants one and the I teach therefore I wine ones!!! LOVE!!! What an amazing giveaway!!! Can't wait to hug you in Vegas! I love the I Teach Therefore I Wine cup so cute!